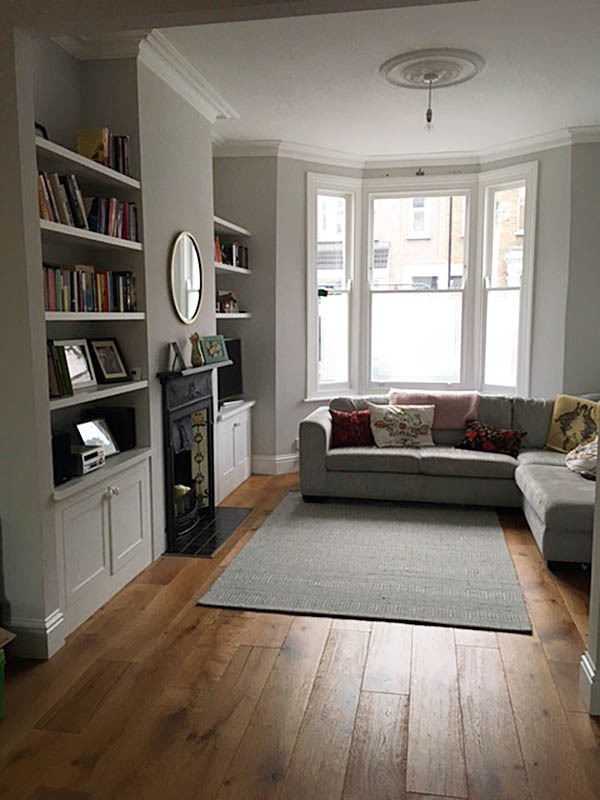 The client’s needed more space for their growing family in this two storey terraced house in a quiet residential street in Leytonstone. 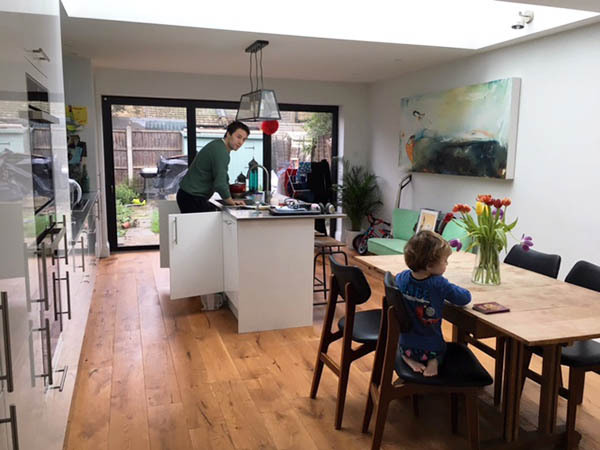 An existing rear addition was removed and the rear of the house was extended and opened up to create a large open plan kitchen and dining space. 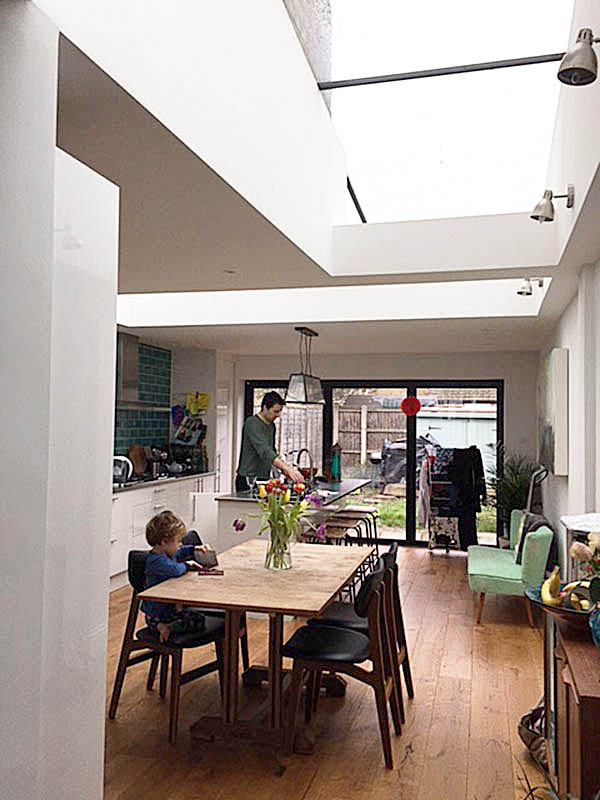 A large ‘L’ shape glazed roof window provides lots of natural light deep into the space. A new chimney breast and period fireplace was added to the front living room to provide focus to the room. Built-in joinery storage was provided to either side of the chimney breast with open shelves and base cupboards and space for the TV.